“That gets them thinking,” he said. In fact, of course, he’s right. We know that the police shoot black people a lot quicker than whites, but nobody is safe. Just ask Dillon Taylor, for instance. Well, actually, you can’t ask him because he was shot and killed by the Salt Lake City police just two days after Michael Brown was killed. And in his case, he was shot as he walked away. And there is video of it. And the cop was completely exonerated. Or take the case of James Boyd, a mentally disturbed homeless man who was shot by the Albuquerque cops, who then sicced a dog on him as he lay dying on the ground. Again, it would be very wrong to deny that black people bear the brunt of police brutality and police murders. But it’s not purely a matter of racism, and for most white people – for most people in general, in fact – they have to see how their self-interest is involved. And there is little that can be clearer: If the police are given a free hand to brutalize and kill any one group of people – black people, in this case – then nobody is safe from them. And there’s another issue: The reason why the police are allowed to run wild in the US. 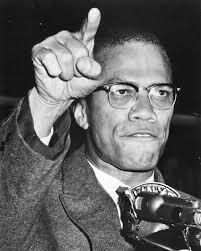 “You can’t have capitalism without racism.” Malcolm X. So what does that tell us for today? history and traditions of the US, racism is an inherent part of this. This is why the struggle against racism as related to the police is directly related to the economic struggle. It’s why Martin Luther King said, “we are engaged in the class struggle,” and why he died while (maybe because) he was organizing a poor people’s march on Washington.